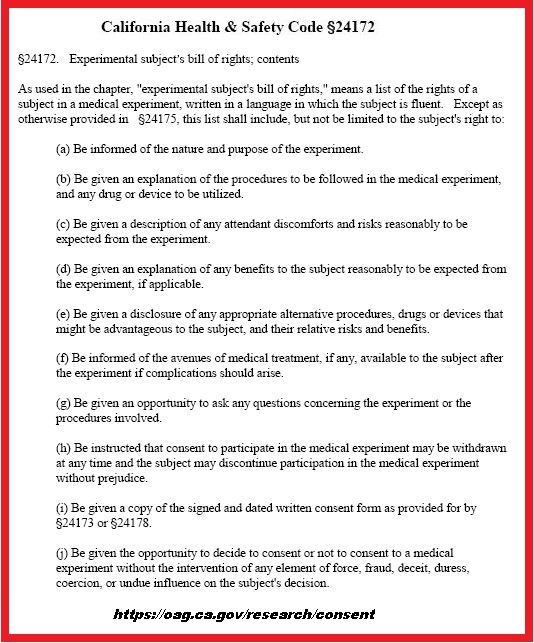 Are You a LEGAL Experimental Subject With No Rights? Health Freedom is defined by having full ownership of your body. That means full and unrestricted Informed Consent before anyone can subject you to any medical intervention. If you are being experimented upon without your knowledge or consent, you have no health freedom, in fact, you have no freedom of any kind. Natural Solutions Foundation is willing to tackle one of the thorniest problems in the world: the wide-spread non-consensual experimentation of technologies on innocent people and their families. This past weekend, Counsel Ralph and I met with representatives of organizations of Targeted Individuals (TIs) and a group of professionals who are ready to break the rotten fruit of non-consensual human experimentation wide open, create an consortium to deal with it and develop advanced treatment/therapy programs for the victims. I recently wrote a widely-shared article, Torture on the Streets of America, revealing the TI horror. Counsel Ralph’s insightful article on the law that should protect us from unlawful experimentation, Targeting Individuals; Targeting Humanity, is the second in our series on this topic and you need to share it everywhere too. In addition, I urge you to ask everyone you can reach who might be, or might know, a TI to add their names to the Natural Solutions Foundation mailing list. We’ve set up a special page just for that — www.TargetedandAngry.com. That way, we have a common point of information dissemination, something the community of TIs has never had. In fact, not having this validation, support and information flow has added immeasurably to the damaging isolation and lack of resources that has made their difficult situation much more difficult. So please, please, use your email lists and social media to urge everyone interested in health freedom to go to www.DrRimaTruthReports.com and add their email to the mailing list. You may be doing a lonely and frightened TI a life-saving favor. Are YOU a Targeted Individual? It’s Possible. Health Freedom is absolute. Either you do control your own body or you don’t. Period. But as if vaccine intrusions were not bad enough, (solved by the use of the Advance Vaccine Directive Card) there is another looming nightmare you need to know about although it’s been going on a long time, hidden in the shadows. Sometimes known as “Mind Control”, it’s actually a whole lot worse. We are talking about Non-Consensual Experimentation or NCE and those who have been used as non-consenting guinea pigs call themselves TIs or “Targeted Individuals”. IF TIs trust you enough, they will tell you that they are being tortured, that voices are inserted into their heads, that they are “given” excruciating pain, too much sleep, not enough sleep, multiple personalities, that they have been chipped with advanced technology, that their every moment, waking and otherwise, is under surveillance and that they are gang stalked, gaslighted and harassed constantly to let them know that they are, in a very real way, slaves and that they cannot escape this torture. And torture is precisely what it is. I have examined some of these people in my professional capacity. In my professional opinion, the vast majority are telling the absolute, literal truth and they often have conclusive documentation. Now, I have been a trained listener a physician and psychiatrist, for nearly half a century. I started hearing painful histories like these 40 years ago. When folks came to me back then with their stories of suppression and oppression and pain and suffering, I reasoned that while they might, indeed, be telling me the truth about their experiences, there were no objective methods that would allow me (or them) to determine whether their trauma was induced by their own mental state (fantasy/illusion/delusion/hallucination/paranoia) or whether there was, in fact, something happening outside their own minds that was having terrible and terrifying consequences, whether, in short, they were being experimented upon and tortured or not. That has changed dramatically. Now, with the development of highly sophisticated equipment, we can locate chips and other devices if they have been implanted, often arrange for these devices to be physically removed by surgeons working under strict Chain of Custody rules, examine them under microscopes, find the patents that define these horrifying devices and figure out who owns them. 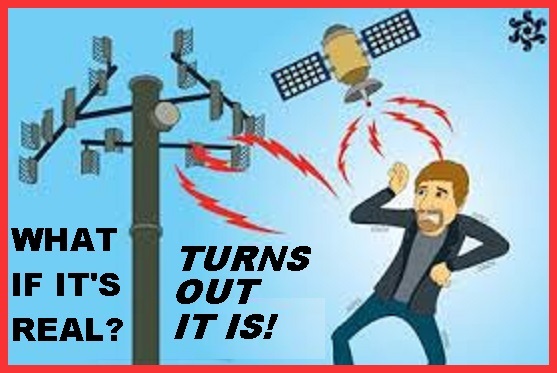 We can often trigger these chips and devices (there are many sorts of implants, by the way: chips are just one type) to communicate their programming information to us and learn just why they have been implanted and exactly what they do. We can, in short, confirm and define not only whether someone is a TI, but who targeted them and what the purpose of that targeting might be. In several states in the US, although the average person believes that no such thing could possibly be real because they would have heard of it on TV or Facebook, there are actually statutes on the books that penalize nonconsensual implantation. California passed such a law in 2007, Civil Code, 52.7, which provides for a $1,000 a day fine until the implant is removed. As you might guess, though, not everyone is happy that we are aware of this information or that we are helping Tis and sharing this important data. You already know that 89 healers and physicians and 2 high-profile activists have been horrifically murdered in the last 20 months or so. I have been working with a number of laboratory-validated TIs whose chips and devices have been carefully and technically identified, in some cases the foreign objects have been removed and painstakingly characterized. I have conducted psychiatric and medical evaluations to determine what is “real”, what is imagined and what TIs can do to prevent further damage from these technologies. Whether a person is delusional (“I am the Virgin Mary”, “I am Jesus Christ” “My thoughts are controlled by little green men on Mars”) or not, if he/she has been implanted with chips/devices emitting radio frequencies and chips/devices visualized on MRI and X ray and removed surgically, that person is a TI. Don’t you think an experience like that, which no one will believe is happening, could drive YOU crazy? You see, whether or not someone is hallucinating, if they are chipped and the chips are emitting, they have a far more serious problem than their mental health. They are being used non-consensually for purposes that expose them to danger, damage, severe trauma and possibly death. They are slaves. Someone else controls their bodies. Who is at the helm, you might ask? Good question. As we learn more and as we have permission needed to share more, we will be writing more about TIs and the agencies, both governmental and non-governmental, that abuse humans in this manner. Several of these victims, and TIs are absolutely victims, are preparing powerful legal challenges to the agencies responsible and our team is assisting them. That makes it rather interesting and significant that in the last 6 weeks there have been 4 serious attempts on my life. One of them used nano-superflies which I caught on old fashioned fly paper (!) and had examined through the good offices of a toxicologist colleague who is used to dealing with such matters. The microscope pictures (photomicrographs) makes it very clear, indeed, that these are highly modified insects used to deliver poisons to the victim (in this case, me). The poisons are released through the use of carefully chosen frequencies that rupture small spheres with a deadly payload. I can tell you that the combination of toxins used to try to eliminate me was quite dreadful. The toxicological work up that we did shows that there are 5 separate exotic toxins introduced by the delivery system. I nearly died. Why am I still here? At least part of the reason is that I immediately ingested Nano Silver 10 PPM to support my immune system because I knew that I suddenly was very, very ill. The immune impact of nutrient Nano Silver is well known and long established and it is my go-to tool for anything impacting my immune system, no matter what the origin. the problem went away when Congress told the CIA “STOP THAT! STOP IT RIGHT NOW!” in 1977. The history of mind control, MK Ultra, Monarch and the rest is very ugly. Tragically, this monster did not die when Congress told the CIA to discontinue its research and activities in 1977. Quite the contrary. We will be writing a series of articles and exposés on the technical, legal, medical, social, ethical and moral aspects of this unspeakable program which involves literally 10s of thousands of hapless victims and their families in many countries around the world. This program is totally despicable. The damage it does is life-threatening and deplorable and the isolation and pain it causes is incalculable. It stops now. With us. Using anyone for anything against their will is abuse. Using their body, brain, actions, thoughts and loved ones against their will is torture. As I write this article, CIA Chief nominee Gina Haspel is being grilled about her involvement in waterboarding and other tortures by a Congress pretending to care about such things. Torture by governmental or other agencies is not limited to a few hundred terrorists in secret prisons. Many thousands of nominally free Americans appear to be the victims of nonconsensual implantation and experimentation. Torture, including the torture of TIs, is intolerable and must stop if we are to consider ourselves humane and sane as a society and as a nation. It is going to take work and resources to unearth and reveal this horrific program, deal with the TI’s themselves and with their needs. Many have been financially devastated by the attacks and are unable to work or travel without assistance. They require expensive lab tests from sophisticated labs and all of them require the knowledgeable input of specialists. Expenses need to be covered so that we can help the TIs and so we can bring you fearless data to protect you and your loved ones from this monstrous intrusion. Give generously to our tax exempt sister research institute here, https://www.paypal.me/InstHealthReseach , to support this new aspect of our work protecting YOUR Health Freedom. At the start of the article I asked, “Are YOU a targeted individual.” Now you can understand my concern. Stay tuned. Oh, the other three attempts on my life in the last 6 weeks or so involved quite powerful directed energy weapons for which we also have documentation. We must be doing something very right! https://leginfo.legislature.ca.gov/faces/codes_displaySection.xhtml?lawCode=CIV&sectionNum=52.7. California has also passed laws enforcing the Right to Informed Consent with penalties for violations and assesses liability for damages. These laws can be found at California Health and Safety Code Section 2176.